Demonstrating the power of smartphone apps and the ability to add an additional revenue stream to existing business, successful worldwide pizza delivery chain Dominos has announced that its iPhone application has helped process over £1 million of orders since its launch in September. 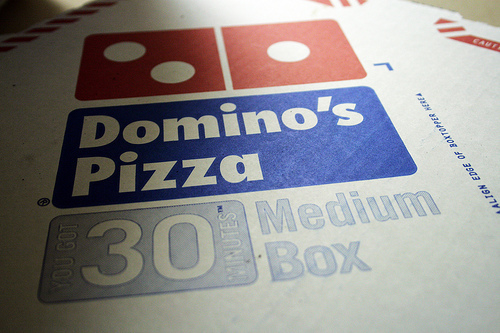 Noting its progress in its fourth quarter trading update, Dominos displayed significant growth via e-commerce during the year, posting £128 million in sales, up £49.5 million (63%) from a year previous. As a result sales made via it’s website or iPhone application now account for 35.8% of UK delivered sales, an increase from 27.8% in 2009. iPhone sales are small in comparison to its website but as the smartphone and tablet markets continue to grow, app use will increase as consumers become aware of its availability. The pizza chain has an Android app in development, launching soon, which is only going to help drive sales for the company as consumers look to their mobiles to purchase their weekly shop, buy gifts or order a takeaway.